Born in the early 1940s in northern Arizona’s high country desert, Jim Dandy began life imbued with the traditions of the Navajo people. Raised by his father and grandfather—both medicine men—and a grandmother steeped in Navajo practices, he embraced their teachings and followed in their footsteps. But attending the LDS Placement program in northern Utah changed his life’s course when he became a member of the Mormon Church. Following graduation from high school, Jim served an LDS mission among his people, obtained a bachelor’s degree, and entered the work force in southeastern Utah as a career counselor, teacher, and community advocate who improved educational opportunities on the Navajo Reservation. Jim has led a life of service and teaching. He maintains the traditional philosophy with which he was raised and the Mormon beliefs that he learned and continues to follow; his life reflects the values inherent in these two different worlds. Readers interested in Navajo philosophy will find his blend of these two distinct views fascinating, while others will better understand the effects of the controversial placement program on the life of one individual. However, this is primarily the warm story of a man’s life among his people and his love for them and their culture. Robert S. Mcpherson is a professor at Utah State University Eastern–San Juan Campus. He is author of a number of books on Navajo and Ute culture and history, including As If the Land Owned Us: An Ethnohistory of the White Mesa Utes (The University of Utah Press, 2011). 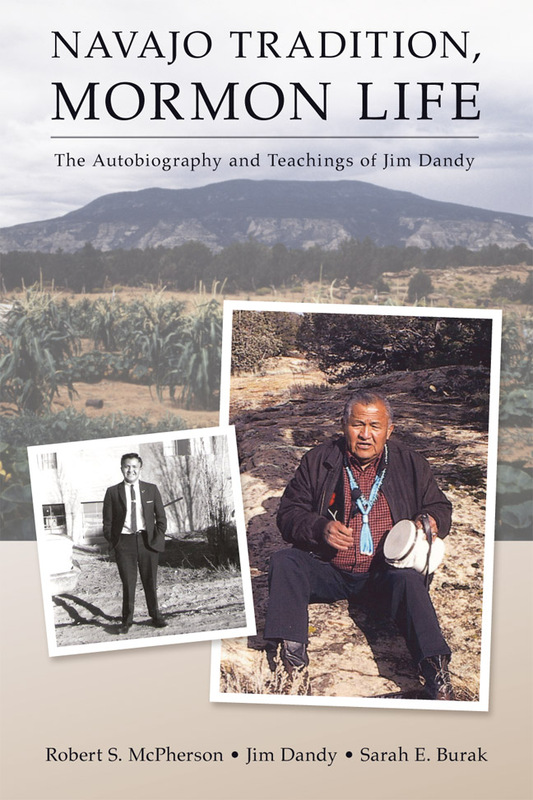 Jim Dandy has worked both on and off the Navajo Reservation teaching, coaching, and counseling Native American students for forty years. Now retired, he lives in Blanding, Utah, with his wife Betty and their family. Sarah E. Burak received her BS in anthropology from Troy University in Alabama. She was an Americorps VISTA volunteer in Utah and currently works for the National Park Service. "Though the book is essentially the story of one man, it's also an excellent dialogue about the transition of a deeply spiritual people into an oft-times unsettling world. It's written simply enough for those with a mild interest in Indian affairs to read, but its depth will attract scholars and history buffs as well."